Well, the early forecasts are starting to come in for the Winter forecast for 2018-19. My favorite (non-regional, local) forecaster is from Pennsylvania. His name is Joe Bastardi of Weatherbell.com. He is an excellent forecaster because he uses his brain…not just computer models. Joe uses the past to help see into the future. Solomon says there is nothing new under the sun and that’s true! 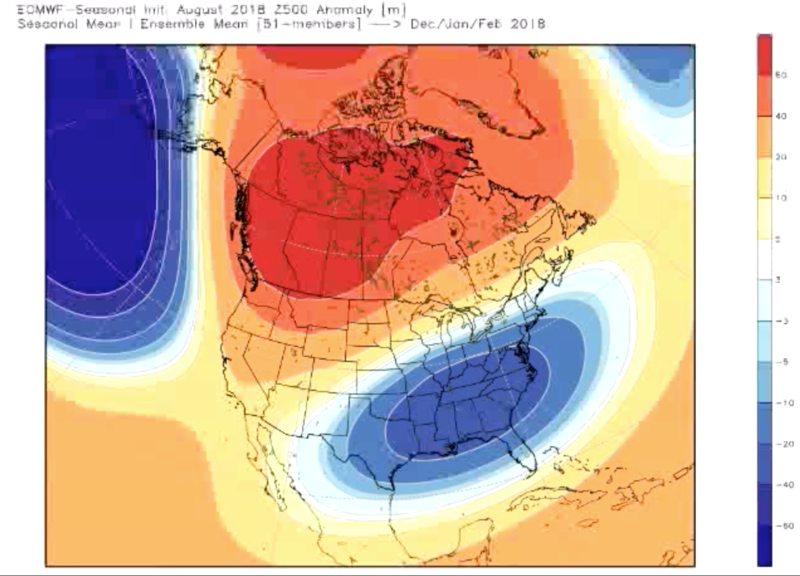 He uses what are called “analog years” to look at the current weather and what has happened in the last couple of years to then find years in the past that may have had similar patterns. These become “analog years,” or comparative years. In other words, you can genuinely look to the past to predict the future. Now, Joe is not a perfect forecaster. No one is or can be. Only the Lord knows the weather. But again, the thing I like about Joe is that he uses his brain…not JUST computer models. I’ve followed Joe’s work and forecasts for years. He’s uncanny in his ability to forecast. He is about 80% accurate. That’s really good folks! I’ll say this:it takes no talent to read a computer print out. Joe spent 32 years at Accuweather and now runs his own private client services weather forecasting business. His reputation for making bold and accurate forecasts has landed him on major television programs including Fox News Live, ABC World News, The O’Reilly Factor, The Colbert Report, CBS’ The Early Show, Imus in the Morning, and several others. Joe graduated from Penn State and holds a Bachelor’s Degree in Meteorology. Now, let me tell you this…the computer doesn’t agree with Joe about the winter weather. Let me show you the computer model of NOAA (National Oceanic Atmosphere Administration) and the National Centers for Environmental Prediction (NCEP) Climate Forecasting Model (version 2). That’s a long and fancy way of saying this the government’s model. 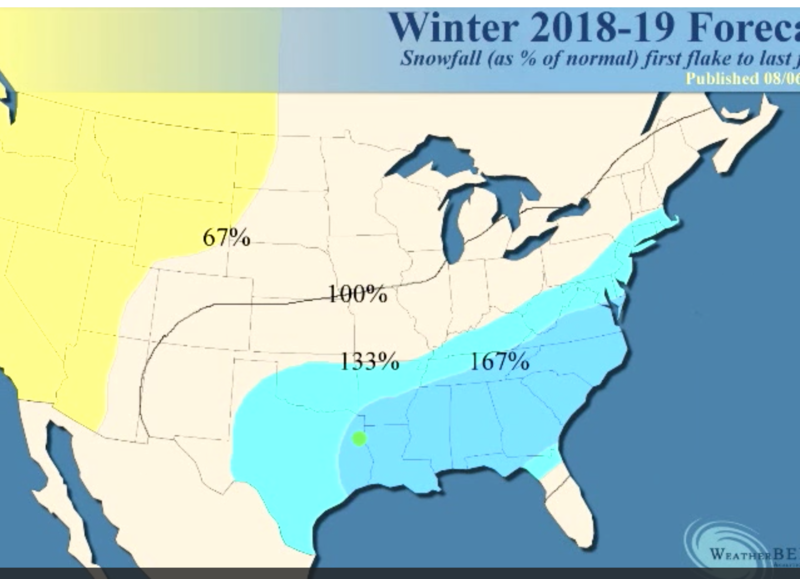 You look at North Carolina and you say, “Okay, 167% of average…what does that mean?” Well, we average about 12 inches of snow per year and so do the math…and the forecast means we should have around 20 inches of snow according to Bastardi. That’s a lot of snow! See the cold water off the coast of Africa (right side of map)? That’s why there are no hurricanes right now and it’s why there won’t be that many this year. See the mixture of cool water and warm water off of the western South American coast. 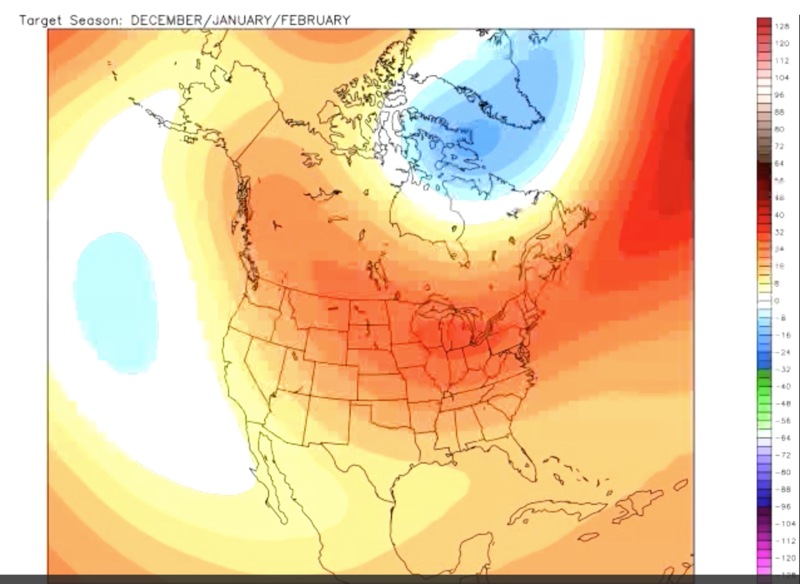 That’s a moderate El Nino coming on. 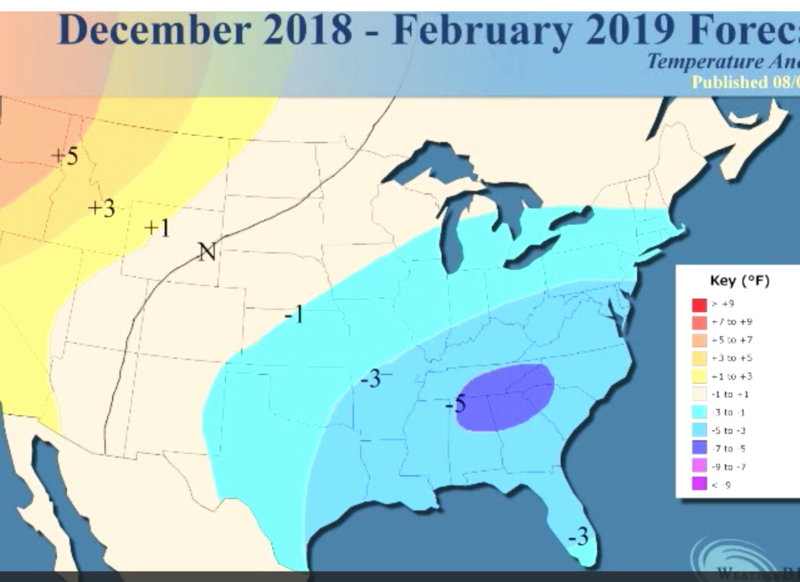 When you have a big El Nino, that puts a ton of heat and moisture up into the Gulf of Mexico and that feeds into the southeast with a warm/moist winter. 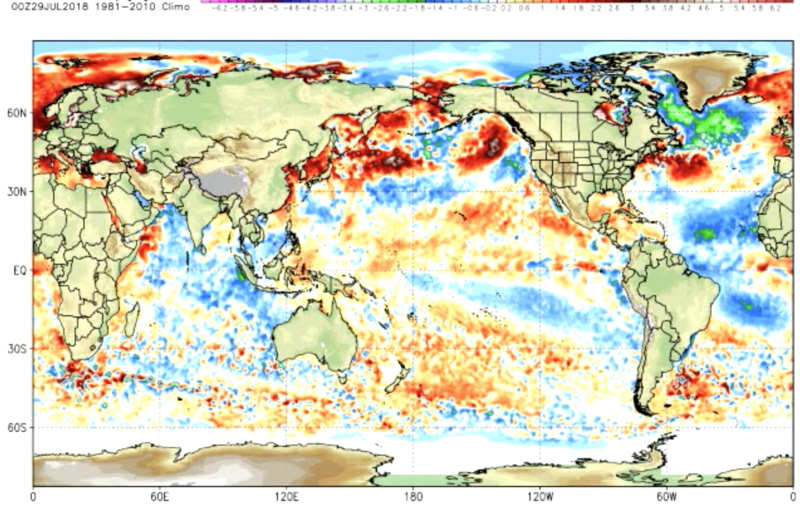 But, if the water is a mixture of warm/cold…then it’s a moderate El Nino and that’s enough moisture to open up the Gulf in the winter…but, not so hot that it overwhelms the pattern. 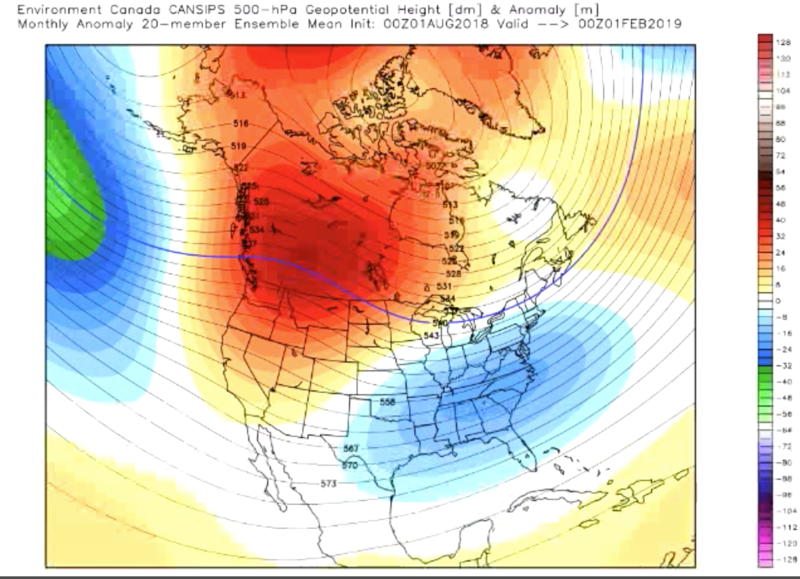 So, if you’re a snow lover…this is a good pattern for winter weather. Are you starting to get the picture? It looks like the majority of the models agree and based on Bastardi’s analog years…it might be a wintry winter (that’s redundant isn’t it).